This German Marder I Panzerjäger 75mm PaK 40/1 auf Geschützwagen Lorraine Schlepper (f) Self propelled Gun (Sd.Kfz. 135) can be found at the French Tank Museum in Saumur in the Loire Valley. The Museum is called Musée des Blindés ou Association des Amis du Musée des Blindés, 1043, route de Fontevraud, 49400 Saumur, France www.museedesblindes.fr . The word Blindés means armoured. 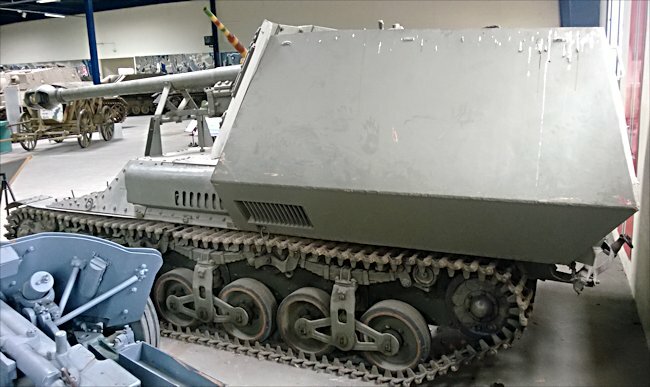 This version of the Marder self propelled gun was designed by mounting the powerful 75mm anti-tank gun on the captured chassis of the French Lorraine Tractor 37 L. 170 artillery supply vehicle and armoured personnel carrier The Germans had acquired more than three hundred after the Fall of France in 1940. Marder I SPGs were produced between June and August 1942. The great majority were sent to the Russian Front to provide anti-tank support to the hard pressed German Tanks. Two units of Marder I SPG's were engaged in Normandy in 1944, but the lack of protection for the crew proved to be a big disadvantage. The German word 'Marder' translated means 'Marten' which is the name of a small slender soft grey or brown weasel or stoat like animal. They are related to the more common European Pine Marten. The Germans have a thing about naming their armoured vehicles after animals and this weapon carries on that tradition. The Marder I self-propelled gun was the result of a panic in the German High Command after troops encountered the surprisingly superior Russian Tanks. The guns on the Panzer Mark I, Mark II and Mark III tanks had difficulty penetrating the sloping frontal armour on the T34/76 or the heavy armour on the KV-1. They were just out classed. Even the Panzer Mark IV with its bigger gun had to get suicidally close to have a chance of knocking out one of the Soviet tanks. The 75mm gun installed on the Marder I was able to penetrate 116mm of armor at 0 degrees with armor-piercing ammunition at the distance of 1,000 meters. It was a T34 and KV-1 Killer, but it had to be prepared to shoot and run as it would not survive a return shell hit. 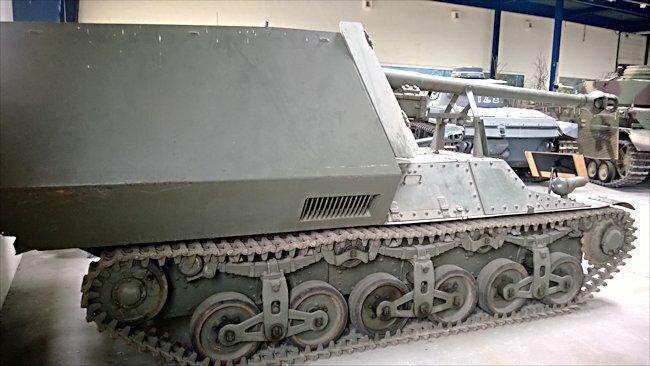 The compromise decision was made to place the 75mm PaK 40/1 L/46 anti-tank gun on top of a tracked chassis whilst bigger and better tanks were being developed. They were small enough to be transported to the Easter Front fast by rail and on the back of lorries. They normally towed a trailer that carried additional equipment and ammunition. Captured tanks from France and Czechoslovakia could easily be converted to carry these weapons. The Marder I was allocated to Infantry Divisions on the Eastern Front in 1942. They served in the following Panzerjager (tank hunter) Abteilungen (Battalions): Pz. Jg.Abt 31st Infantry Division between August 1942 and December 1943; 2.Kp./Pz. Jg.Abt 35th Infantry Division between September 1942 and December 1943; 4.Kp./Pz. Jg.Abt 36th Infantry Division between October 1942 and June 1943; 3.Kp./Pz. Jg.Abt 72nd Infantry Division between September 1942 and December 1943; 1./Pz. Jg.Schn. Abt 206th Infantry Division between January 1943 and December 1943; 5./Pz. Schnelle-Abt 256th Infantry Division between November 1942 and April 1944. In Normandy the Germans were not facing vehicles with such strong armour like that found on the Soviets. The Marder crews found their 75mm gun very effective against the thinner armour found on the Allies M4 Sherman, Churchill and Cromwell tanks. 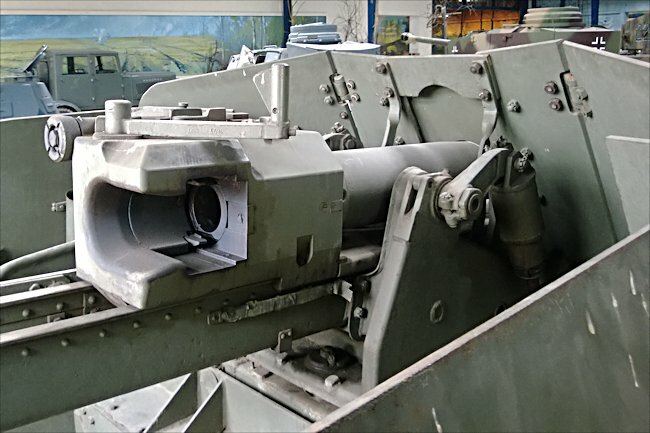 One Allied regimental battle report mistakenly identified them as self-propelled 88mm anti-tank guns after losing tanks in an engagement with Marder I SPGs. The 21st Panzer Division’s Sturmgeschütz Abteilung 200, commanded by now Major Alfred Becker, had 24 Marder I self propelled guns operational in Normandy. The 17th SS Panzer-Grenadier Division 'Götz von Berlichingen' had a company of 12 Marder I SPGs. The top armour surrounding the crew and gun compartment was not meant to stop armour piercing rounds but should have kept them safe from small arms fire and blast shrapnel from exploding HE shells. The compartment was open which helped the commander spot new targets and it also kept the weight of the vehicle down to only 8.2 tonnes. For self defence each Marder was issued with a machine gun that could be fixed to the top of the crew compartment armour at the back on the right side. It had a top road speed of 38 km (23mph) and off road a slow 20km/h (12 mph). The towed trailer was used to carry a wet weather tarpaulin and a camouflage net. The French Lorraine Tractor 37 L was not the only chassis to power the 75mm Marder I. Captured French Hotchkiss H-39 tanks and French FCM36 medium tanks were also converted into Marder I SPGs. They all used the same gun and virtually the same crew compartment armour protection layout. They had a four man crew and the same open-top compartment. Where can I find other preserved Marder I SPGs?